The dataset provides an estimate of 2018 herbaceous annual percent cover predicted on May 1st with an emphasis on annual grasses. The pixel values range from 0 to 100 with an overall mean value of 8.32 and a standard deviation of +/-11.93. The model’s test mean error rate (n = 1670), based on nine different randomizations, equals 4.9% with a standard deviation of +/- 0.15. This dataset was generated by integrating ground-truth measurements of annual herbaceous percent cover with 250-m spatial resolution eMODIS NDVI satellite derived data and geophysical variables into regression-tree software. 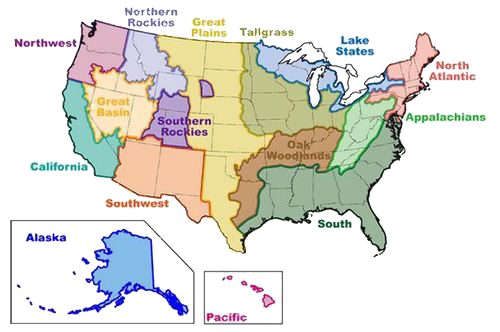 The geographic coverage includes the Great Basin, the Snake River Plain, the state of Wyoming, and contiguous areas.